Today's the day! You'll find me over on the Sew Mama Sew website with a whole new collection of tips and tricks to make quilting easier. From getting organized to saving time, I have put some helpful hints and tips all in one place. 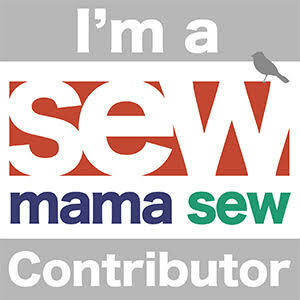 I'm so thankful to the folks at Sew Mama Sew for letting me visit. Also, BIG BIG BIG things will be happening all over quilt blog land next week. I will be hosting a blog hop to celebrate the release of my new book. There are a dozen stops on the blog hop and that means you have a dozen chances to win a copy of Scrap Quilt Secrets! Some super cool and creative quilters have been awesome enough to help me celebrate and it's going to be great. So don't forget to check back here for all the details! Now go check out my post at Sew Mama Sew and have an awesome day!